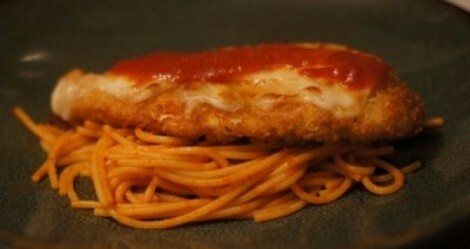 Although I made chicken parmigiana for three people here, the recipe will make four servings, which you can easily double for a bigger crowd. 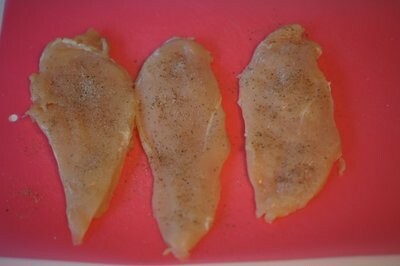 Pound the boneless breasts to a uniform thickness of about 1/3 inch. 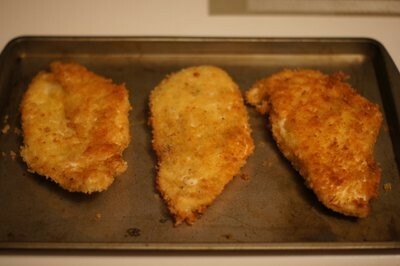 Salt and pepper the breasts. 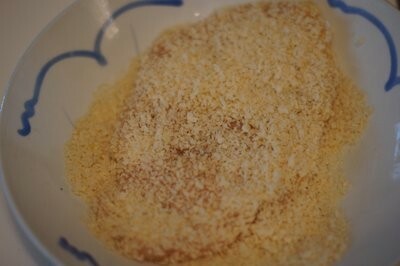 Beat the egg in a shallow bowl and place the bread crumbs in another bowl. 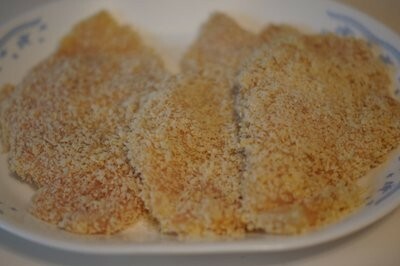 Dip the cutlets, one at a time, into the egg and then into the breadcrumbs. 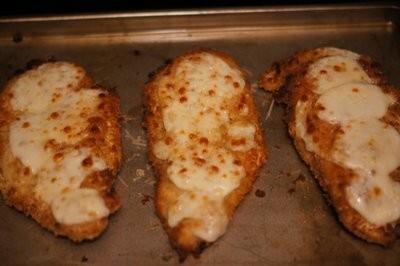 Use your fingers to press the crumbs onto the breasts. 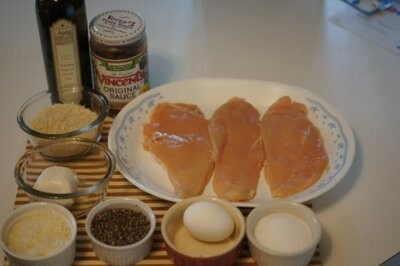 Set aside until you're ready to cook. 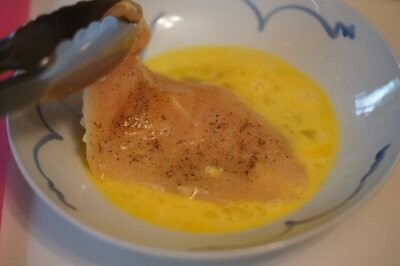 Heat the olive oil over medium-high heat in a large skillet. 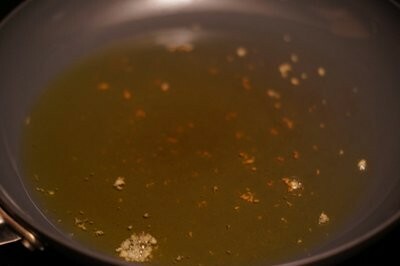 The oil is ready when it begins to shimmer or a few bread crumbs sizzle in the oil. 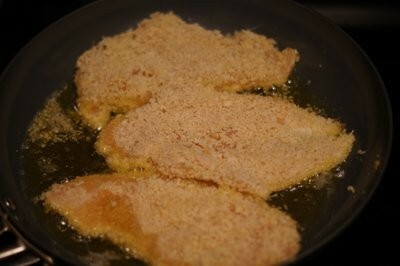 Carefully place the breaded cutlets into the skillet and saute until golden, about 4-5 minutes per side. 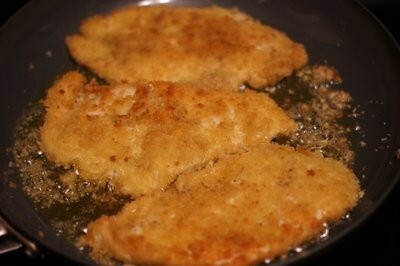 Remove the cutlets from the skillet and place on an ovenproof plate or cooking sheet. 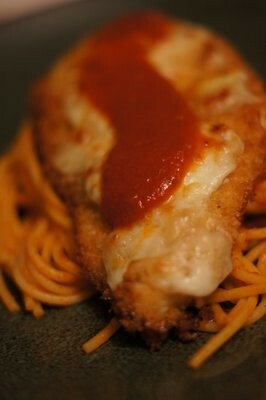 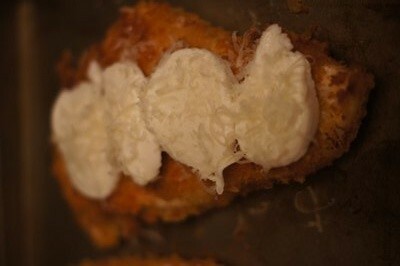 Top the cutlets with sliced mozzarella and half of the Parmigiano-Reggiano. 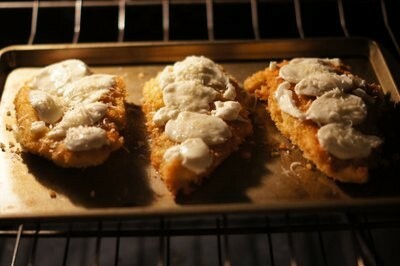 Set the pan in the oven and broil the cutlets until the cheese is melted and lightly browned. 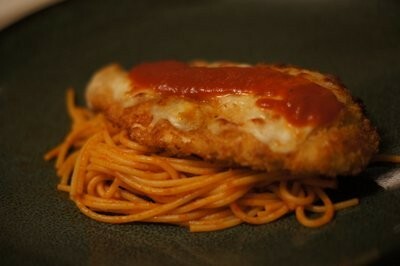 Serve the chicken parmigiana with your favorite pasta, risotto, polenta, etc., topped with warm marinara and the remaining Parmigiano-Reggiano.